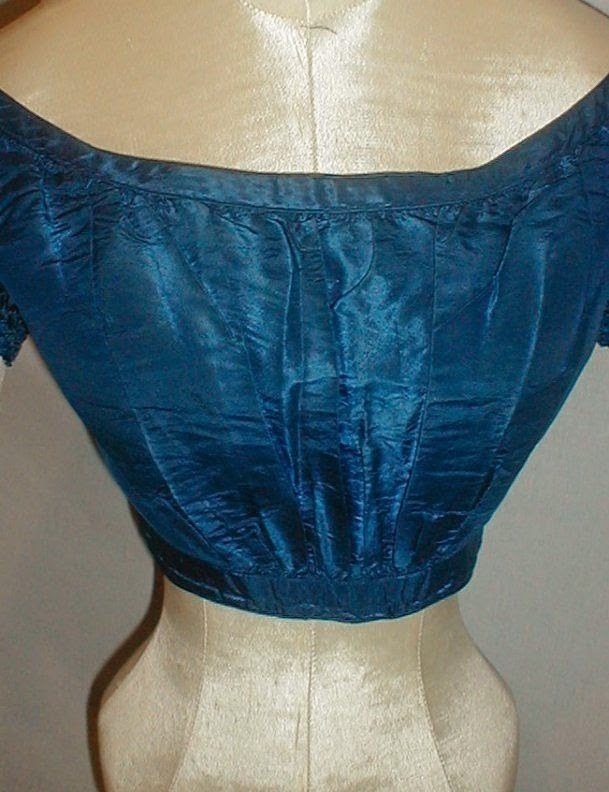 An enchanting 1860’s royal blue silk evening bodice that has recently been de-accessioned from a museum collection. The name of the museum and donor are stitched inside the bodice. The bodice has an open cap sleeve and a net lace under sleeve. The cap sleeve has tassel trimmed lacing. 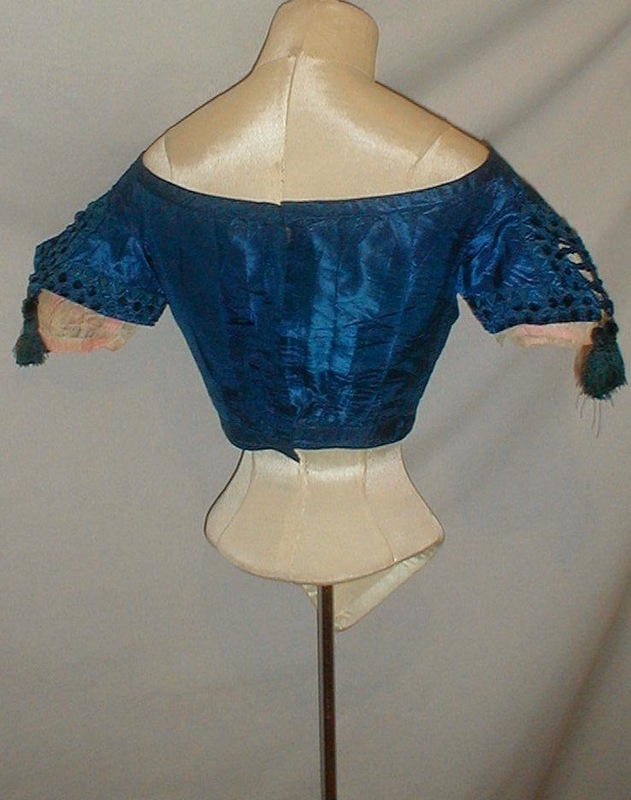 The cap sleeve is also decorated with printed silk ribbon. 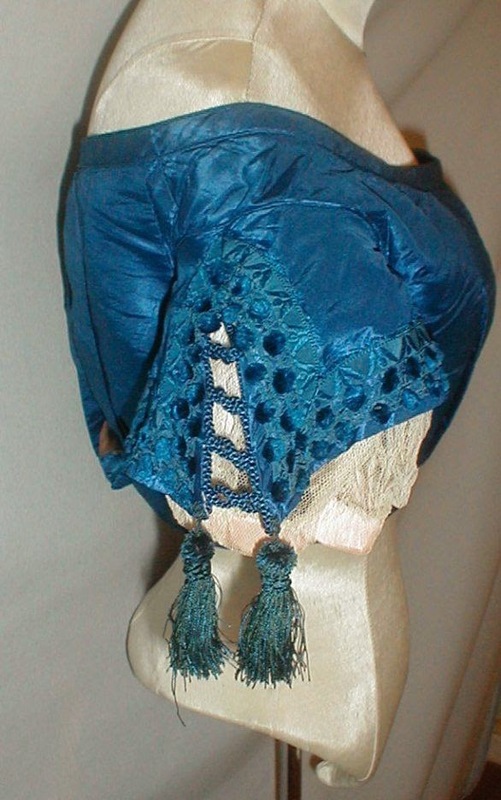 The ribbon has circles of royal blue chenille velvet. 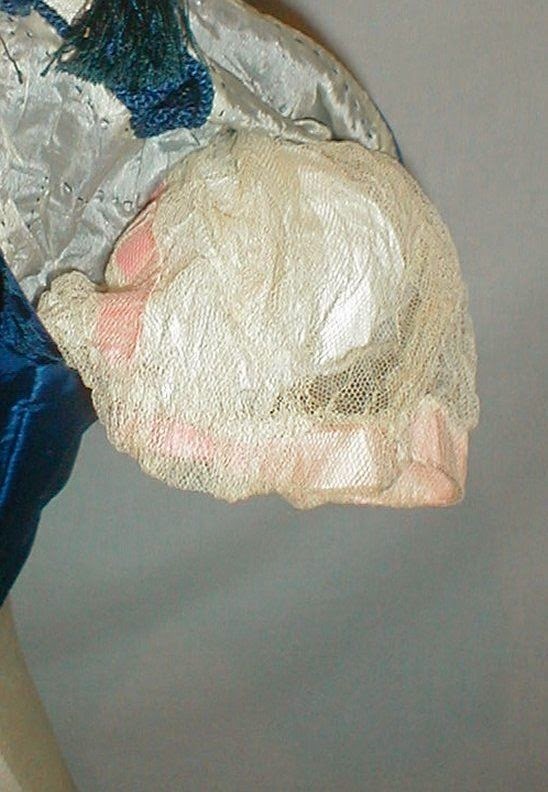 The under sleeve has a pink ribbon insert. The bodice is lined with cotton and has a back hook and eye closure. It is in excellent condition. There are no splits or holes and no underarm discoloration. Antique clothing is for display and should not be worn. Bust 32 Waist 24. This is so pretty! My guess is probably about 1867 or so given the bodice style.